The UK Government now has a single website, GOV.UK. It is a major new initiative to bring together information in one place for citizens, businesses and organisations with a simple, fast and easy interface. GOV.UK will replace all UK central government department websites by March 2013. Government departments will be found in the ‘Inside Government’ section of GOV.UK. Some departments are there already and more will be going live over the next few months. You can see what the new website looks like (and get an idea of what our content will look like in the future) by visiting www.gov.uk/government. We are working to prepare our website content for the move to GOV.UK in March 2013 and the closure of our current website. 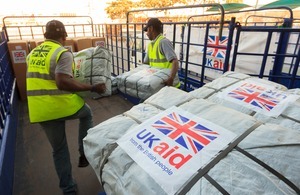 You will find our new website at www.gov.uk/dfid. If you have a page on our current website bookmarked, don’t worry, after March 26 all our current webpages will either re-direct to the new pages on GOV.UK that contain the same information, or link to an archived version of the page on The National Archives Website.